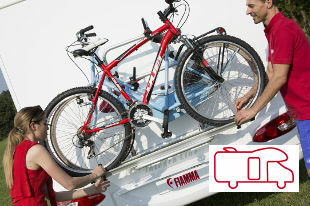 Fiamma Carry-Bike 200 DJ is the ultimate bike carrier for motorhomes and vans with double rear doors. 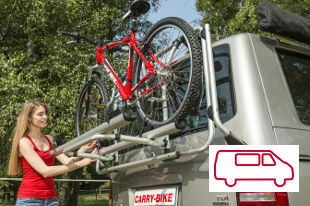 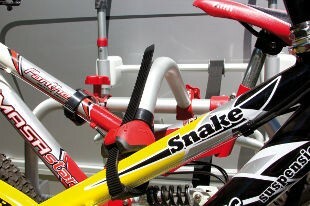 The rear door can be opened safely without removing the bicycles. 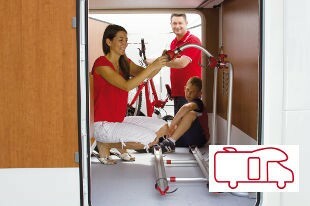 Carry-Bike Garage for all motorhomes with garage storage facility. 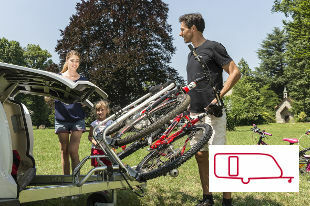 The lower section is fixed to the floor and the upper Bike-Block is fixed to the wall or garage roof.